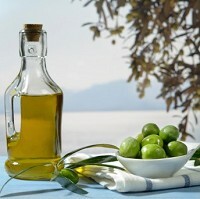 Women who eat a Mediterranean diet high in olive oil may reduce their risk of breast cancer, research suggests. A study by the University of Navarra in Spain highlights the health benefits of eating plenty of fish, fruit, vegetables and extra virgin olive oil. Scientists compared more than 4,200 women who were either on a reduced-fat diet or a Mediterranean diet supplemented with extra virgin olive oil over a period of five years. Those on the Mediterranean diet were 68% less likely to develop breast cancer than those on the reduced-fat diet, the trial found. Two varieties of the Mediterranean diet were studied, one supplemented with a weekly litre of extra virgin olive oil and the other with 30g of mixed nuts a day. The nuts diet showed no significant effect on the risk of developing breast cancer. Authentic Mediterranean cuisine can be enjoyed on holiday, and travellers already being treated for cancer can sample it for themselves by taking out specialist cancer travel insurance. The scientists, led by Dr Miguel Martinez-Gonzalez, wrote that preventative strategies represent the most sensible approach against cancer. They say the trial provides a "useful scenario" for breast cancer prevention because it is conducted in primary health care centres and also offers beneficial effects on a wide variety of health outcomes. However, they acknowledge that further long-term studies need to be carried out with a higher number of incidences to back up these new findings, published online in the journal Jama Internal Medicine. Dr Mitchell Katz, deputy editor of Jama Internal Medicine, points out that only 35 cases of breast cancer were seen during the study and the women were aware of the type of diet they were receiving. But he adds that the Mediterranean diet is known to reduce the risk of heart disease and is safe. He says he hopes to see more emphasis placed on it to reduce cancer and cardiovascular disease, and improve health and wellbeing.